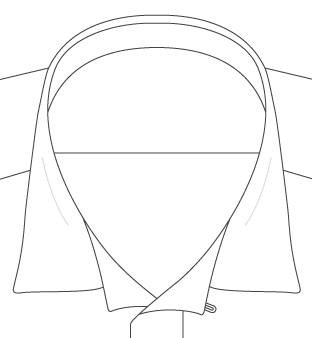 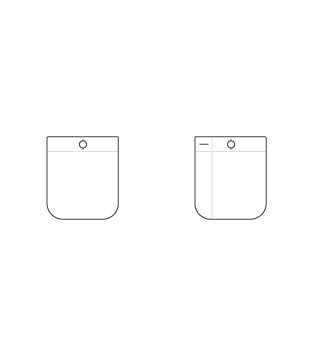 Widely worn in the hot, muggy South, seersucker’s special uneven puckering gives it less surface area contact against the skin, resulting in better air circulation under the shirt. 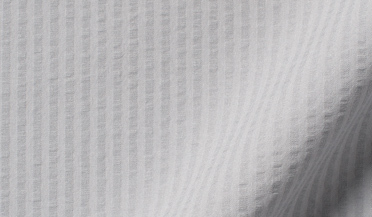 Our seersuckers are woven in Portugal with a smooth 70/1 x 70/1 construction. 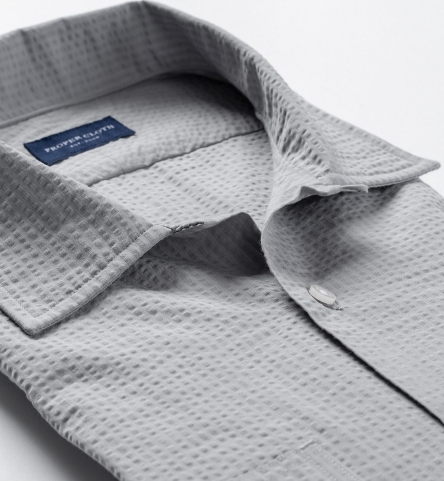 This subtle grey makes for the perfect breathable, textured solid. 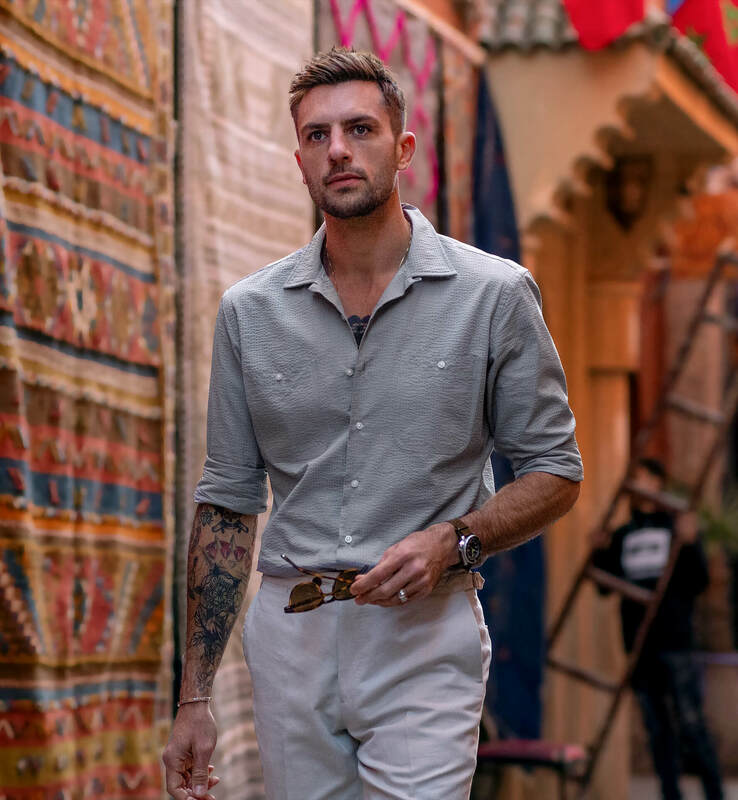 Wear it as a sophisticated casual shirt on the weekend, but don’t hesitate to dress it up with your summer weight suits or sport coats. 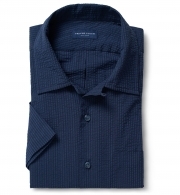 We love a Soft President Spread or Soft Ivy Button Down collar on this one. 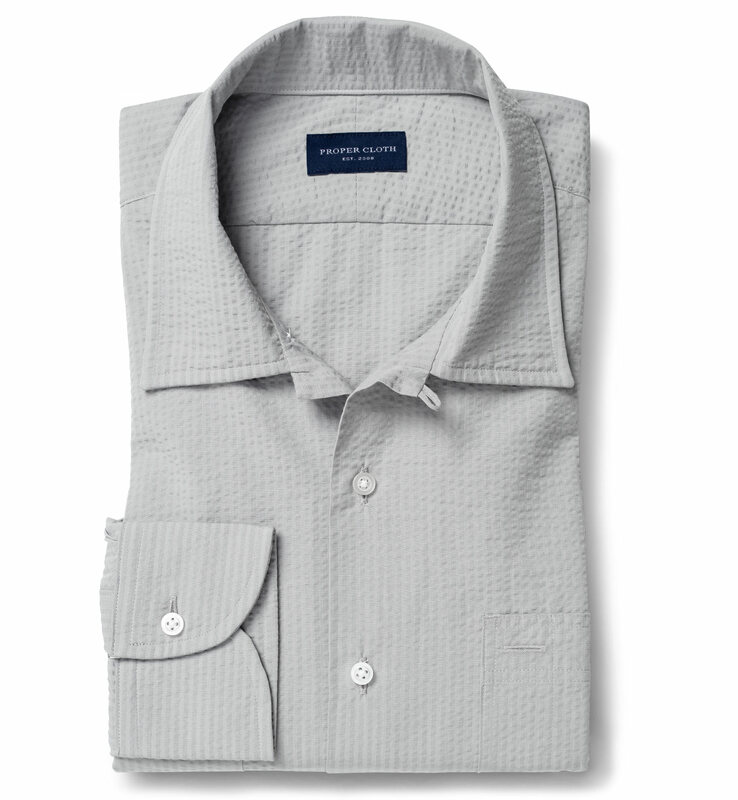 And you can’t go wrong here with either long or short sleeves. 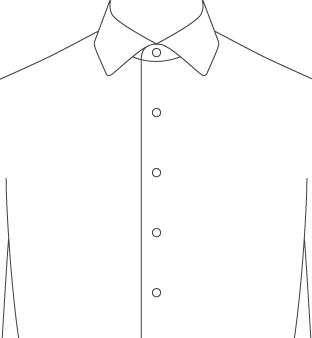 Due to the special nature of seersucker fabrics, they can only be made using soft, unfused collars and cuffs.